Kate Middleton loves fashion and she has the money to spend on it. Keri Lumm shares some of her most expensive dresses. Kate Middleton loves fashion and she has the money to spend on it.??? 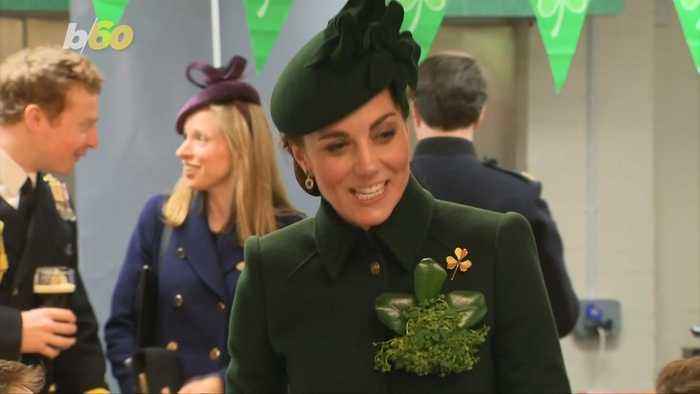 ?She is known for wearing expensive coats, like this one she wore for St.
Patrick’s day that reportedly cost four grand.??? ?But coats are one thing...here are 4 of the most expensive dresses she has worn so far according to Business Insider.??? ?This Missoni dress sold for $2480 on net-a-porter and if you can believe it, it is sold out.??? ?Please, tell me, what do these people do for a living???? ?She donned this Chanel dress and belt in Paris. The outfit is lovely which with a price tag of 10,000, it should be perfect.??? ?This Alexander McQueen dress cost 10,000 dollars as well, but she did wear it twice with a small alteration to the shoulder.??? ?So really $5000 for each time she wore it, a bargain!??? ?Of course, the most expensive dress she has ever worn was her wedding dress which cost a whopping 332,000 dollars.??? ?Just think, she wore a dress one time that cost more than most people’s homes.